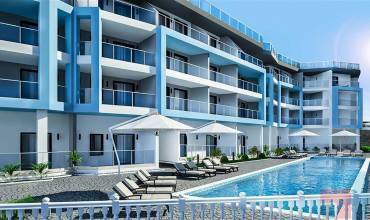 CEBECI 8 Luxury Apartments 2+1 in coastline of seaEuropean luxury complex on the coastline of the Mediterranean sea. The apartment is 135 square meters (living room, 2 bedrooms, kitchen (separate), 2 bathrooms (Jacuzzi, shower), 2 balconies (mountain view, sea). City centre. 2 double bed, 2 single, hall 2 sleeping. sofa, its high-speed Internet, baby bed for newborns. 3rd floor. European complex Toros 9 on the shore of the Mediterranean Sea in the city center. The apartment area is 135 square meters. 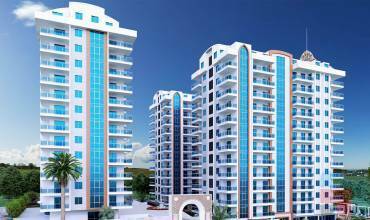 (living room, 2 bedrooms, kitchen, 2 bathrooms, 2 balconies, city center.) 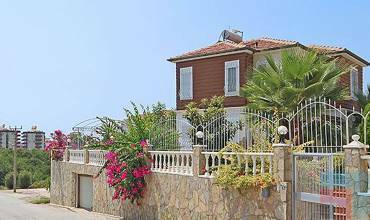 The residence is not crowded and noisy, near to the beach.Complex with a fenced area , swimming pool, sauna, direct access to the sea 5 minutes walk, shop Migros. 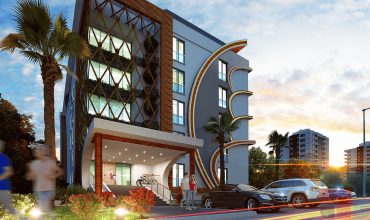 Elite Life 5 is a new magnificent residential complex located on the picturesque coast of the Turkish Riviera, in the popular resort town of Mahmutlar, about 14 km East of the center of Alanya and only 30 km West of Gazipasa international airport. It offers charming views of the sea and mountains. The town centre and the beach are within walking distance. European complex Toros 5 on the shore of the Mediterranean Sea in the city center. The apartment area is 135 square meters. 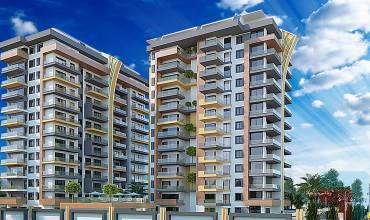 GoldcityGold City is not just a tourist complex, it is a city of a dream come true. The complex surprises with its scale, layout, thoughtful organization, attention to the slightest desires of its residents, thousands of those pleasant things that affect the mood and well-being of guests a five-star hotel ... The apartments are bright, cozy, with beautiful views.